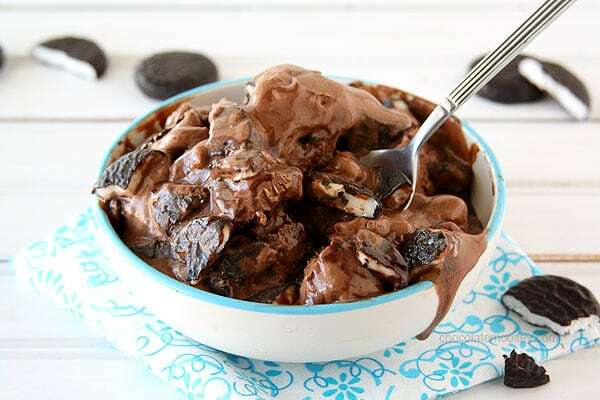 Grab your spoons because Chocolate Caramel Cheesecake Ice Cream is a luscious chocolate cheesecake ice cream layered with caramel sauce that was made especially for Cheesecake Day. Get the balloons, confetti, and spoons ready because today is a holiday you do not want to miss – Happy Cheesecake Day! Yes, cheesecake day exists, and we all know how much I love cheesecake. Turns out I’m not the only blogger who loves cheesecake either, which is why a big group of us are sharing our favorite cheesecake-inspired recipes with you today. 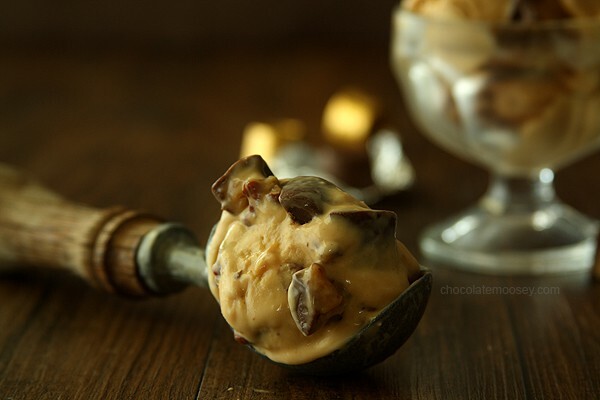 Since July is also Ice Cream Month, I decide to freeze my cheesecake instead of baking it with Chocolate Caramel Cheesecake Ice Cream – a luscious and sinful chocolate cheesecake ice cream base with homemade caramel sauce layered throughout it. Combining cheesecake and ice cream is the best of both worlds, wouldn’t you agree? I’m not sure when my love of cheesecake first started, but it’s been around for a super long time (but not as long as my love for ice cream!). In fact, when I’m stuck on what dessert to make, I tend to resort to cheesecake. I can hear some of my friends laughing right now because they know when I brainstorm recipe ideas, I end up with cheesecake. Probably because everybody loves cheesecake (and for those who tell me they don’t, I think they’re crazy). 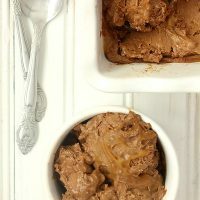 This Chocolate Caramel Cheesecake Ice Cream was inspired by my Chocolate Caramel Cheesecake Cake I posted back in May. I loved the cheesecake layer so much, I thought it would be the perfect flavor combination for an ice cream. 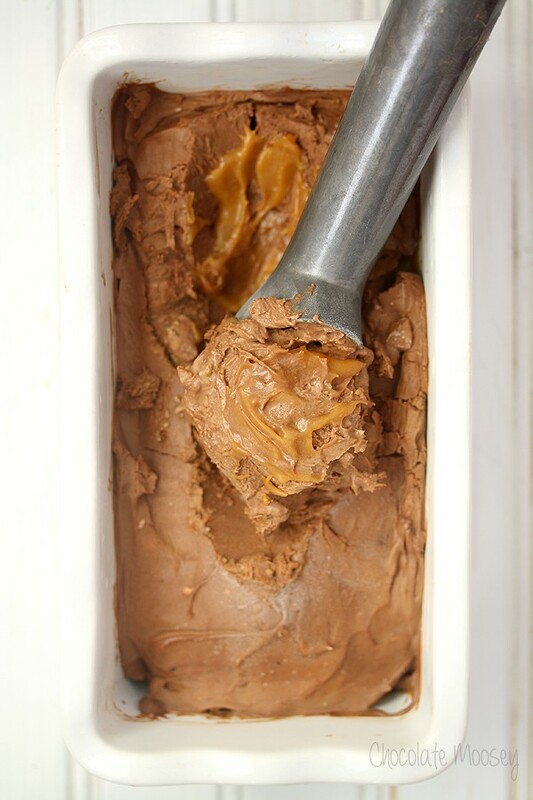 Not only does the chocolate ice cream have caramel in it, it also has caramel layered throughout it. Win win, I say. When you make the ice cream base, the custard will end up really thick, almost like chocolate pudding. Try not to eat it all as you finish freezing it (although I highly recommend sneaking at least one spoonful. You know, for taste testing purposes). In a large saucepan, whisk together 1/2 cup heavy cream and cocoa powder. Heat until the mixture starts to boil, whisking to blend in the cocoa. Remove from the heat and whisk in the chocolate until melted. 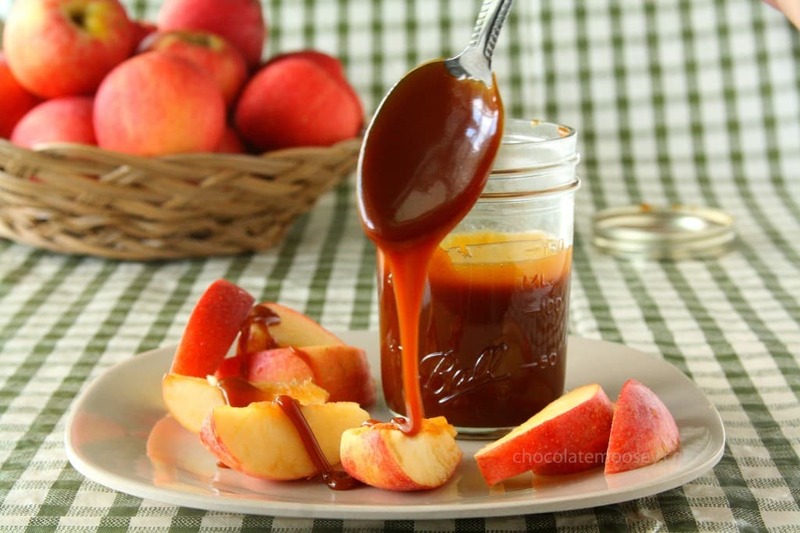 Whisk in 1/4 cup caramel sauce and remaining 1/2 cup cream. Pour the mixture into a large bowl and let cool. In the same large saucepan, heat up the milk, sugar, and salt. In a separate small bowl, whisk together the egg yolks. Slowly add some of the warm milk into yolks, whisking constantly, then scrape back into the saucepan. Heat the milk mixture over medium heat, whisking often, until the mixture thickens and coats the back of a spoon. Pour through a strainer into the chocolate mixture and stir until smooth then add the vanilla. Place the bowl in an ice bath and cool until room temperature. In a blender, blend together the cream cheese and chocolate mixture (it'll be thick like pudding). Chill the mixture in the refrigerator until cold. Freeze according to your ice cream maker's instructions. 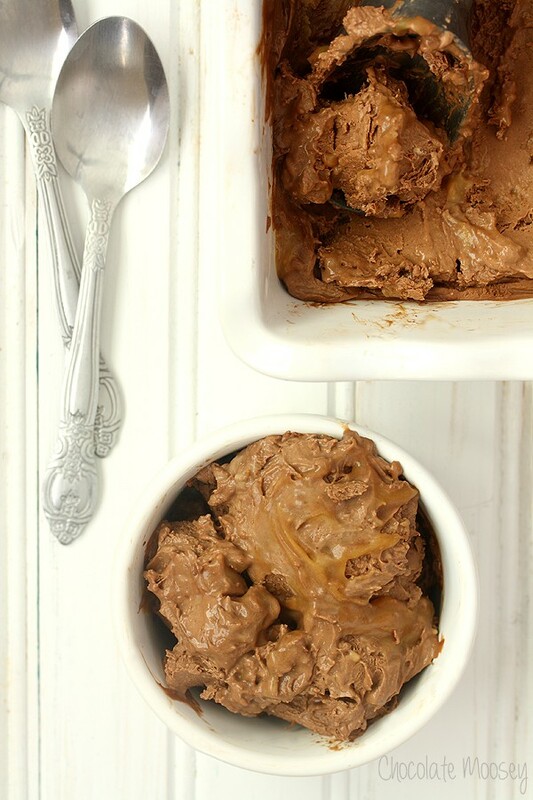 Once fully churned, layer in a freezer-proof container with the remaining 1/4 cup caramel sauce. 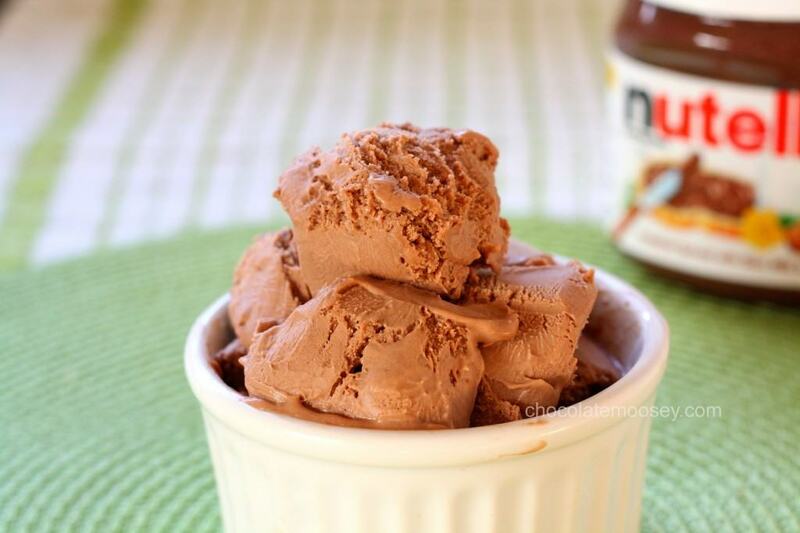 *Dutch-process cocoa powder gives the ice cream a more intensified flavor, but you can substitute natural cocoa powder. Cheesecake in ice cream just has to be about the best combination ever. I would like you to send me this for breakfast please and thanks! Pinned! Genius! Combining cheesecake and ice cream…now that is a winning dessert right there! That looks SINFUL! The caramel is making my mouth water. YUM! Chocolate, cheesecake and caramel??? This has got to be the BEST ice cream EVER!!! Ermagaaaaaaawd. Carla. You are the queen of cheesecake and you’re constantly blowing me away with what you create. 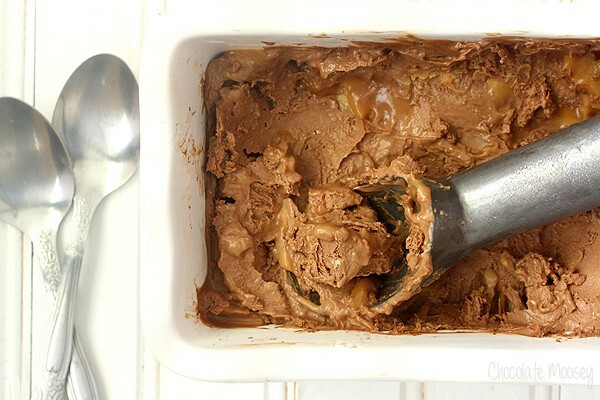 This rich, creamy, downright luscious chocolate caramel cheesecake ice cream is no exception – I wish you could just scoop it straight from the container right into my ravenous mouth! Cream cheese in ice cream? I’m so intrigued. And that caramel, OH MY!!! You HAVE to try cream cheese in ice cream. Very creamy, very good! This ice cream is calling my name! Love how creamy it is! Yea I remember last summer being super hot, almost in the 90s a lot, but this summer we got lucky. Just lots and lots (and lots) of rain. oh my gawd, chocolate cheesecake ice cream with a homemade caramel sauce layered throughout?!!! Damn, love this, Carla!! Servings: 1 pint of this = 1 serving. Oh my just put me in a corner with a spoon and this and i would be a happy gal. That just looks insanely good. 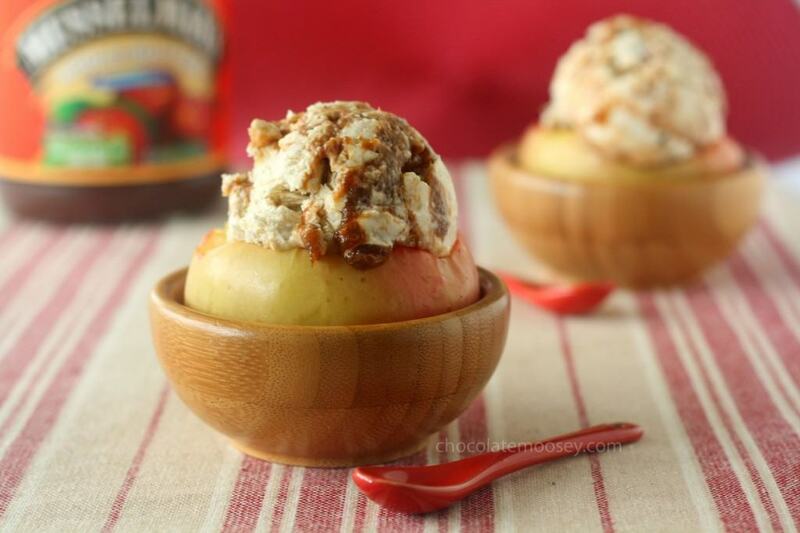 Love the added caramel!! It is nice to see you again, it has been too long!!! ice cream is my biggest weakness, and to put that spin on Cheesecake is just brilliant! I really just want to dive into that dish of ice cream. 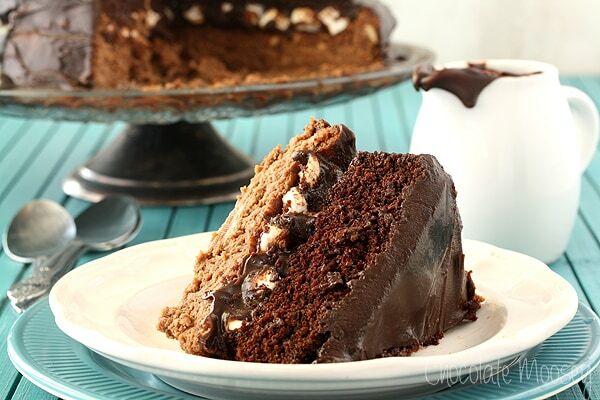 Chocolate and caramel and cheesecake! Yeah, drool-worthy. 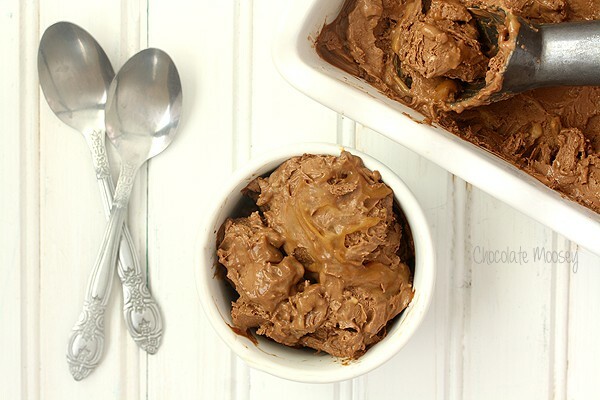 Love your chocolate caramel cheesecake ice cream recipe. I’ll definitely try it, but instead of 1/4 cup granulated suga i would use 2 honey! Thx Carla! Let me know how it works out with the honey!